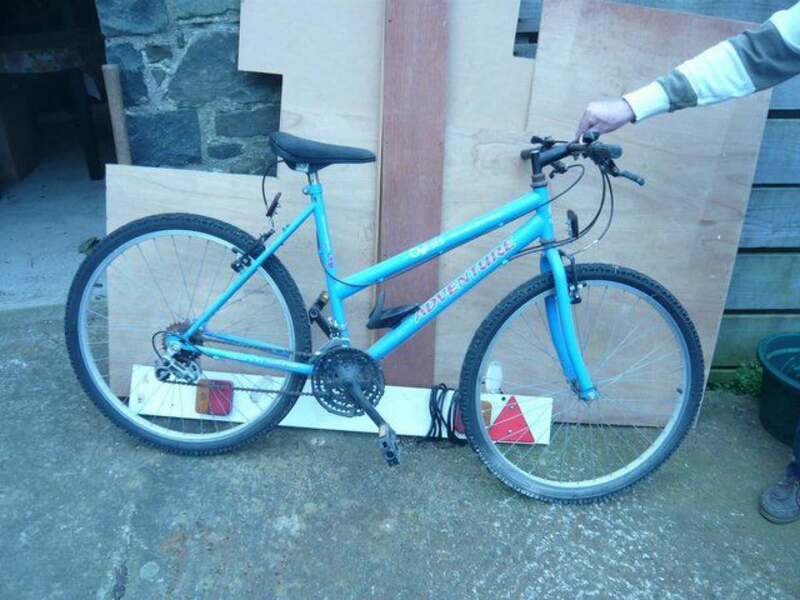 Blue adult bike branded Oasis Forest Holiday Villages for renovation or parts. 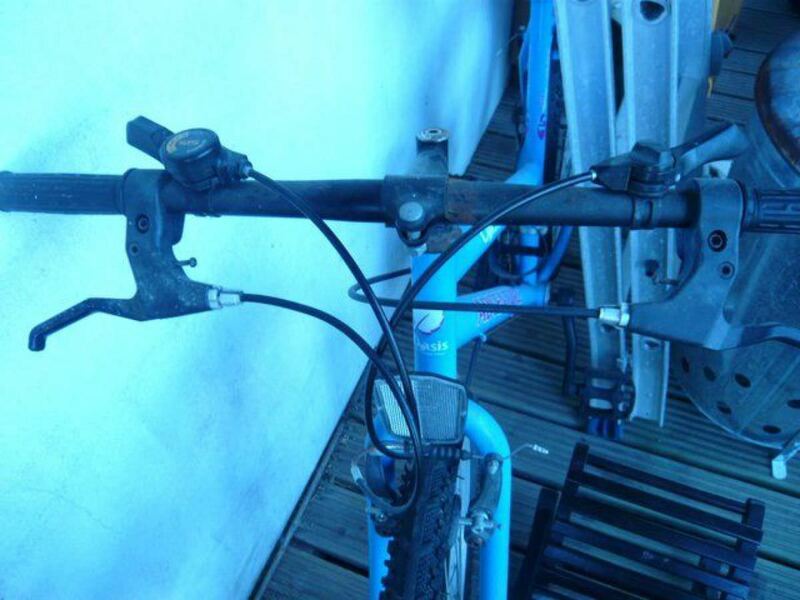 Brake cables seem to work, paintwork OK, metal parts rusty. Was hardly ever ridden and has been in a garage for many years. 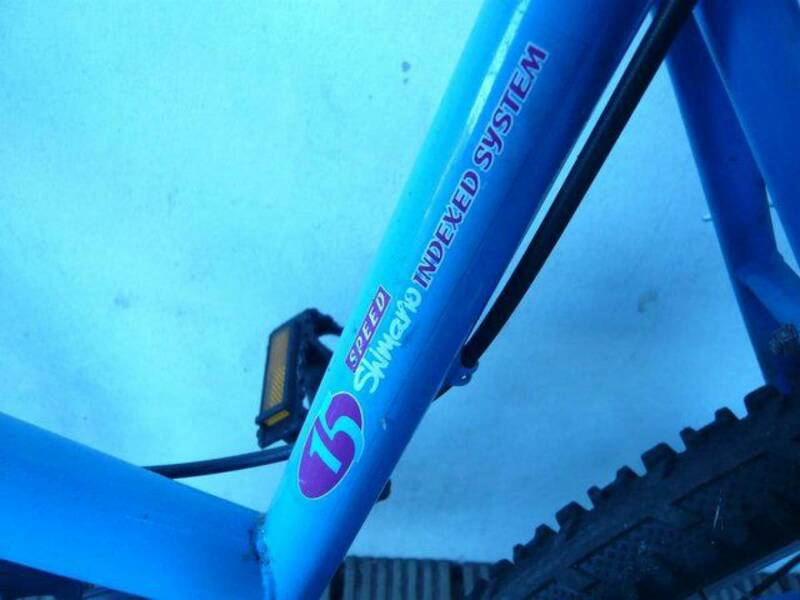 S15 gears, wheels measure 23 inches inside tyre to inside tyre, sorry no idea how to measure the frame.